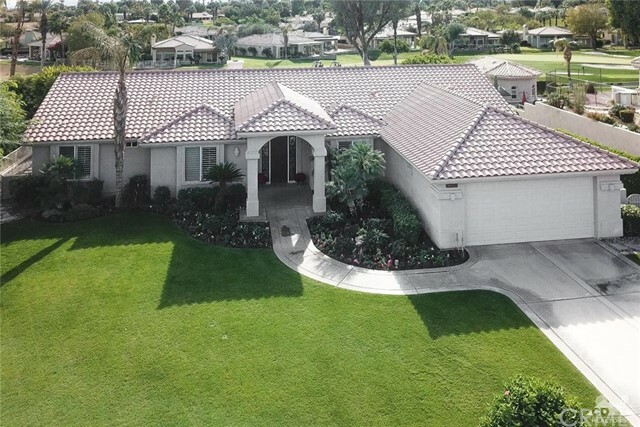 All Bermuda Dunes homes currently listed for sale in Bermuda Dunes as of 04/19/2019 are shown below. You can change the search criteria at any time by pressing the 'Change Search' button below. 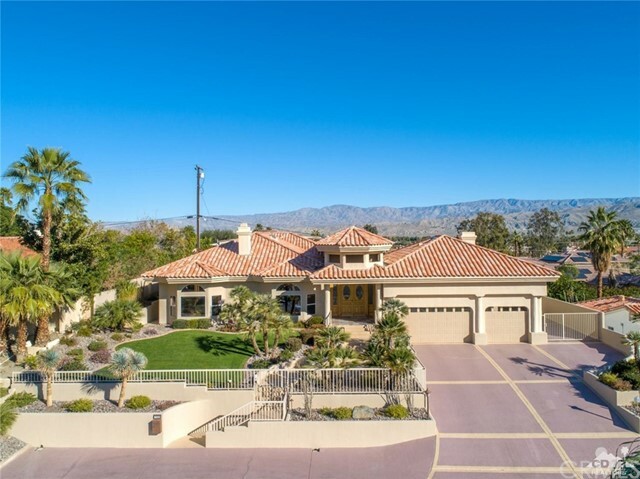 "One of a kind stunning contemporary custom home on 1/2 acre flag lot in Bermuda Dunes Country Club. 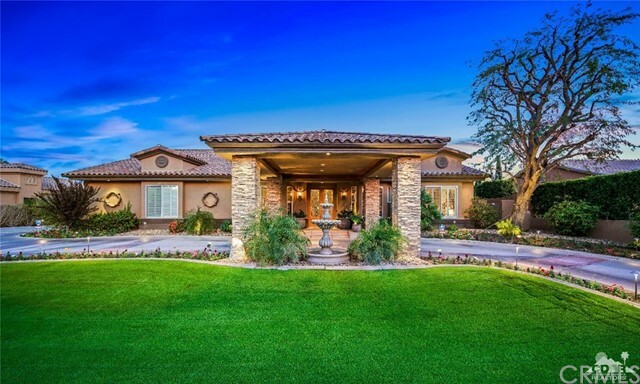 This home has it all - Dramatic views of 11th green/fairway PLUS absolute privacy in the front-loaded pool/entertaining area! 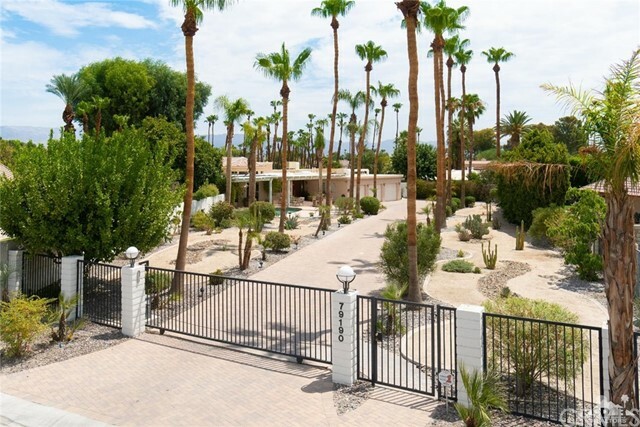 Enter your mini-estate through your own gate and down a palm-tree lined/pavered driveway. 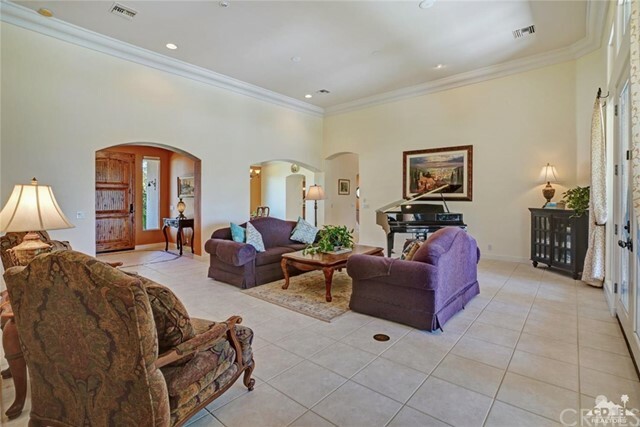 Marble entry leads to grand piano-sized living room boasting floor to ceiling windows, a sit down wet bar with icemaker, impressive fireplace plus your own 350 bottle wine cellar. Chef's kitchen with Viking cooktop, slab granite counters,custom cabinets,leads to mirrored/chandelier dining room and Powder Room. There is also an informal dining area in kitchen with slider to pool/spa area and covered patio.Each bedroom has its own bathroom.The master suite is located on one side of the home for privacy and has a slider to rear yard plus oversized bathroom with his & hers water closets, spa tub, separate updated shower and your dream closet! Three car, plus golf cart garage." 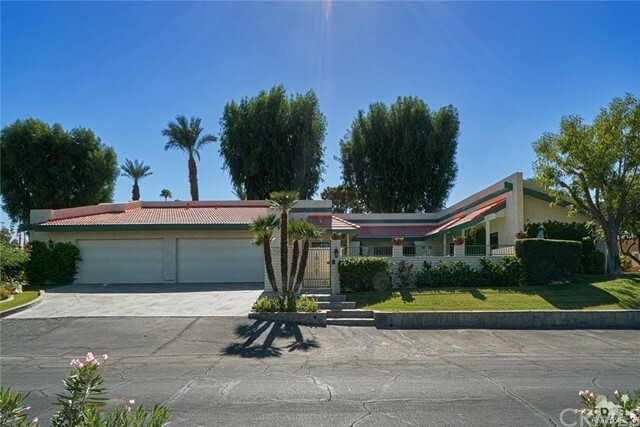 "GREAT LOCATION and VALUE! 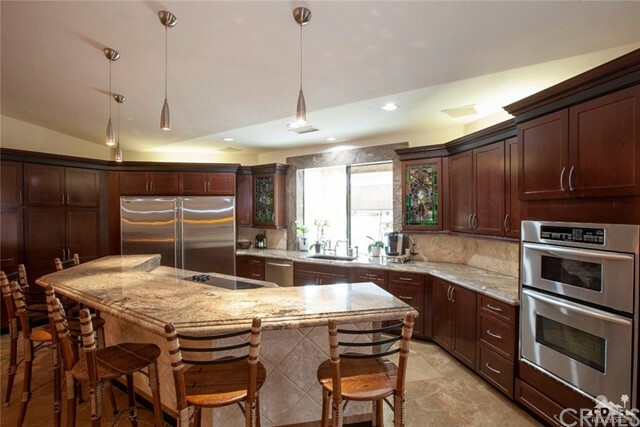 Large 4 bedroom, 5 bath home with added office/retreat or 5th bedroom offered TURNKEY FURNISHED. 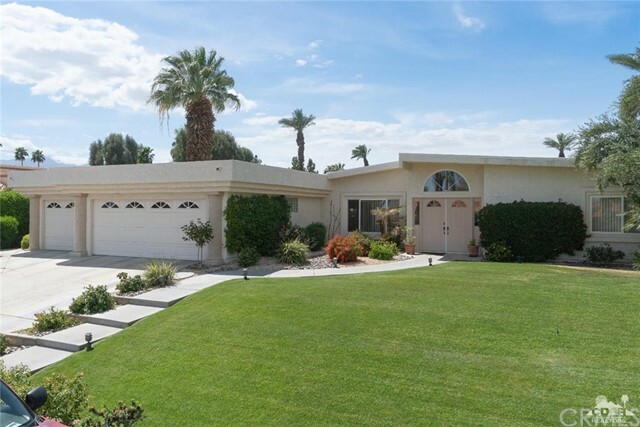 Enter double doors to a great room with vaulted ceiling, cozy gas fireplace & wet bar that overlooks the 14th fairway, western mountains & sunsets. 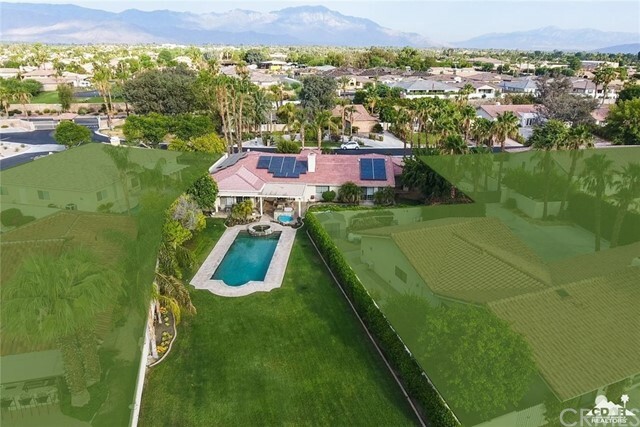 Also stunning eastern views of fairways, mountains & sunrises from the front of home in the private courtyard pool/spa area. 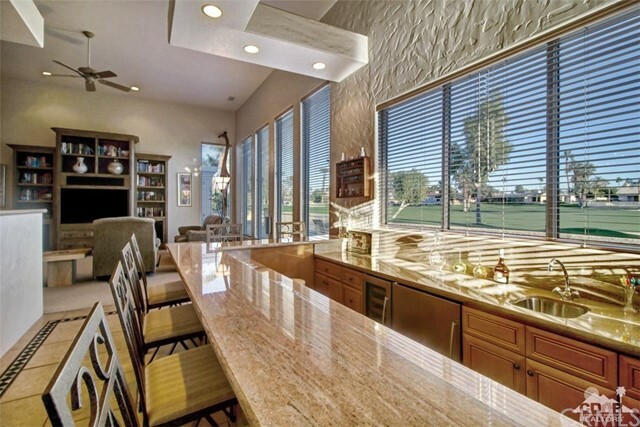 A spacious kitchen with custom cabinetry, double oven & island cooktop has a beautiful bright breakfast room surrounded by custom shuttered windows. Large Master Bedroom has walk-in closet & adjacent bath with door-less walk-in shower, jetted bathtub & bidet. Two additional bedrooms at opposite side of home share Jack & Jill Bath. 4th bedroom/office with 3/4 bath near great room. 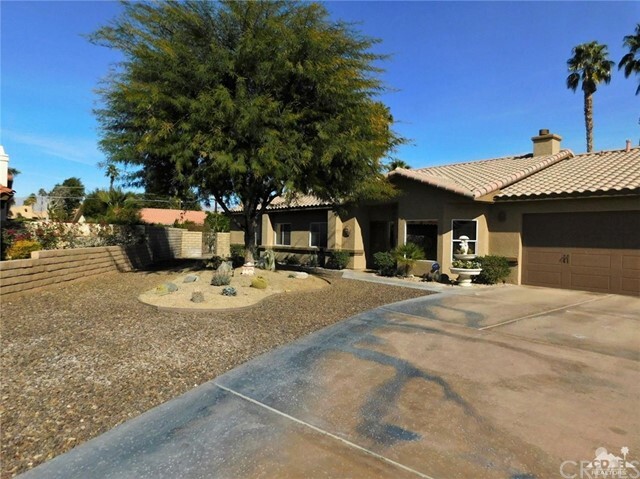 Large 3 1/2 car garage has epoxy flooring. 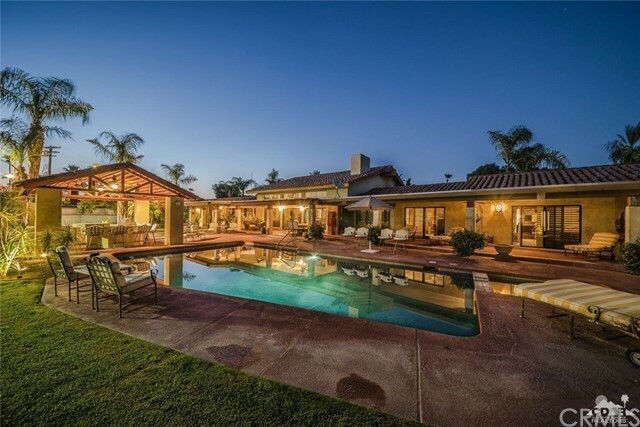 Tastefully landscaped with fountains & fenced back yard with citrus trees. Close to BDCC clubhouse. Sellers have moved and are looking forward to an offer. Low HOA dues!"